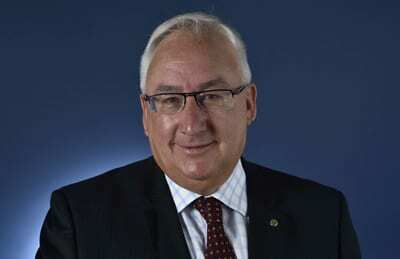 Following an articled penned by Janet Albrechtsen in The Australian, Labor MP Michael Danby has accused the NSW Greens of bigotry in declining invitations from The New South Wales Jewish Board of Deputies and AUJS. Danby told Parliament: ” The New South Wales Jewish Board of Deputies, being good Australian citizens, have outreach Shabbat dinners. Shabbat is the Friday night meal that Jewish families traditionally have. As outreach, the New South Wales Jewish Board of Deputies has had a wonderful program of Shabbat dinners for Liberal Party leaders, the LGBTI community, the Young Labor union, the Chinese community and the Indian community. The only group who will not accept invitations is the Greens political party. It’s really disgraceful. The purpose of these dinners is simple yet important: ..engaging as Australians…and using the opportunity to explore our communities, beliefs and shared values. CEO Vic Alhadeff explained these Shabbat dinners were not to command agreement or to proselytise; just to speak to one another as respectful human beings. Many Jewish Australians might be drawn to genuinely green policies about the environment, but the extremist attitude of the Greens precludes engagement. It’s not tolerance; it’s prejudice. ‘If the Liberal Party of Australia refused point blank to engage with credible Muslim groups, we would banish its members as bigots. In her article, Janet Albrechtsen pointed out “there are a few good people in the party. 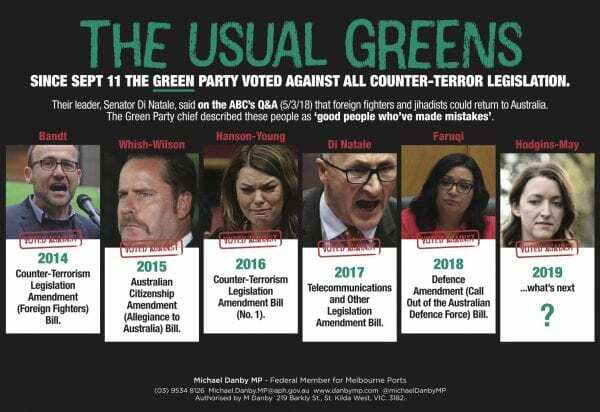 Last year, NSW Greens upper house MPs Cate Faehrmann and Justin Field said the party had fallen victim­ to “extreme­-Left ideology”. NSW Greens lower house MP Jamie Parker engages with the Jewish community too. What has it got to do with you Mr Danby as you represent Melbourne Ports for another 3 months, not NSW, and you are not a shadow minister either. MPs decline invitation if unavailable and NSW has an election in 5 weeks time so all candidates will be busy out in their electorates. Perhaps MrDanby may be of the opinion that Australia as a Nation should be foremost in a politicians mind ahead of any political party’s dogma?